The first teaser trailer for the Child’s Play reboot dropped in early February, but we never really got a look at Chucky, only the carnage that was left in his wake. This, of course, led to speculation as to what he would actually look like. How closely would he resemble his counterpart from the 1980’s classic horror flick? Will he be as creepy? The answer to both of these questions is yes. 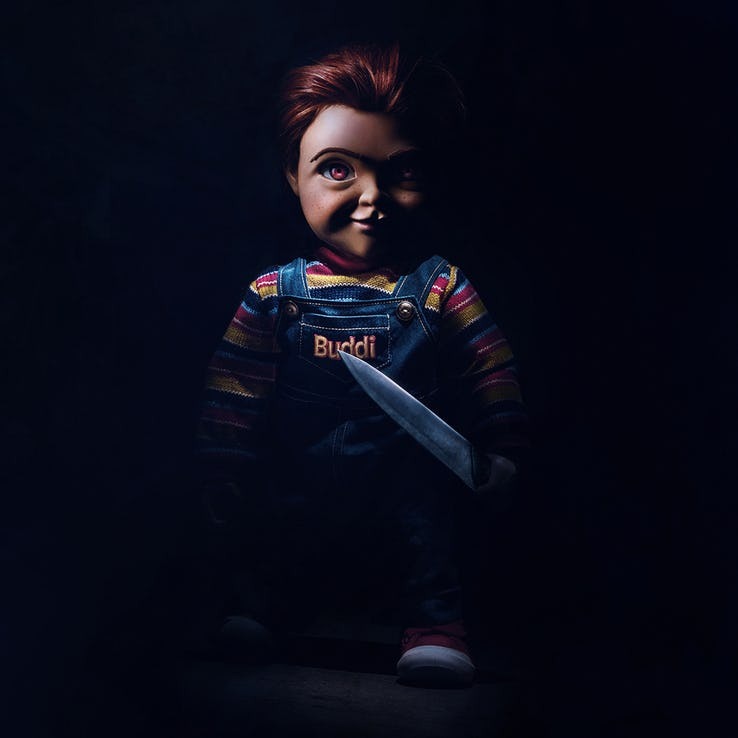 Today, the first image of Chucky dropped. He’s in the shadows, but you can still see that he looks pretty similar to the original murder doll that everyone is familiar with. There are a few differences though: the clothes are slightly different, the face isn’t quite the same, and his eyes are red instead of blue. The fact that he’s carrying a large knife though is really a dead giveaway that this is an evil doll that you really don’t want to mess with. If I were to see this thing coming at me, I’d immediately assume it was Chucky so the design team did a good job. If you happened to miss the trailer when it was released, check it out below. Child’s Play hits theaters on June 21. The film stars Aubrey Plaza, Brian Tyree Henry, and Gabriel Bateman as Chucky’s unfortunate owner. It was also recently revealed that Mark Hamill will be providing the voice of Chucky.